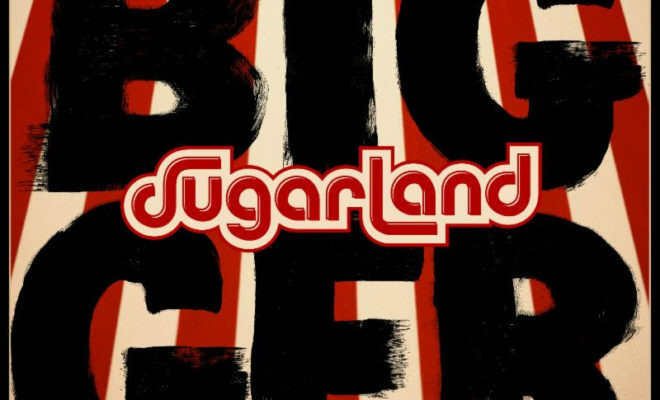 GRAMMY® Award-winning duo SUGARLAND announced their highly anticipated sixth studio album, titled BIGGER, will be released on June 8th and becomes available for pre-order on April 13. Sugarland’s Jennifer Nettles and Kristian Bush co-wrote nearly all of the songs on the album, which was co-produced by Kristian, Jennifer, and Julian Raymond. The project’s lead single, “Still The Same,” is currently climbing the Country radio charts ahead of the duo’s spring-summer STILL THE SAME 2018 TOUR. For tickets and a full list of dates, please visit HERE. After taking a hiatus to pursue a series of high profile solo projects, BIGGER is the duo’s first new music in seven years and the first project under their new joint venture with Big Machine Records and UMG Nashville. It will be available to pre-order at digital retailers as well as the title track, “Bigger,” available to download on April 13. Since the band’s inception in 2002, Sugarland has sold nearly 10 million albums domestically, earned seven No. 1 singles to date and amassed more than 260 million on-demand streams, making Sugarland one of the most popular Country music duos of all time. Dan and Shay Announce Where It All Began Tour!